As announced in advance, on Saturday, May 14, a meeting was held at the government office with the participation of government officials and members of parliament regarding the issue of combating corruption. According to Armen Rustamyan, who head the parliamentary faction of the Armenian Revolutionary Federation (ARF), a junior political partner of the ruling Republican Party of Armenia in the current government, an exchange of views on the matter took place during the meeting. “We called that meeting a ‘brain storm’ and all points of view were heard during that meeting,” Rustamyan told media on Monday, adding that members of all parliamentary factions, except the opposition Armenian National Congress (ANC), attended the discussion. According to the ARF representative, during an in-depth discussion lawmakers made specific proposals. “The matter concerns stipulating mechanisms for all officials who have a conflict of interest to be held accountable. Officials cannot be in charge of spheres where they have business interests, as it is natural that in that case they would put their power to the service of their interests,” said Rustamyan. “I hope that everything will be summarized by the prime minister, because it is the prime minister who initiated the discussions and it was the logic of the meeting,” the lawmaker added, voicing confidence that words will be followed by action. Opposition parties, however, are not so confident of the ultimate success of the initiative. Orinats Yerkir (Armenian Revival) faction member Mher Shahgeldyan thinks, for example, that if there is truly a desire to fight corruption, then it should not be done by a body formed inside the government, but should be carried out by an independent body, which shall be comprised of civil society, including NGOs, media and independent experts, as well as representatives of the opposition and the government. According to Shahgeldyan, in the fight against corruption attention should also be paid to the bills in parliament that are designed to protect the interests of one oligarchic group or another. 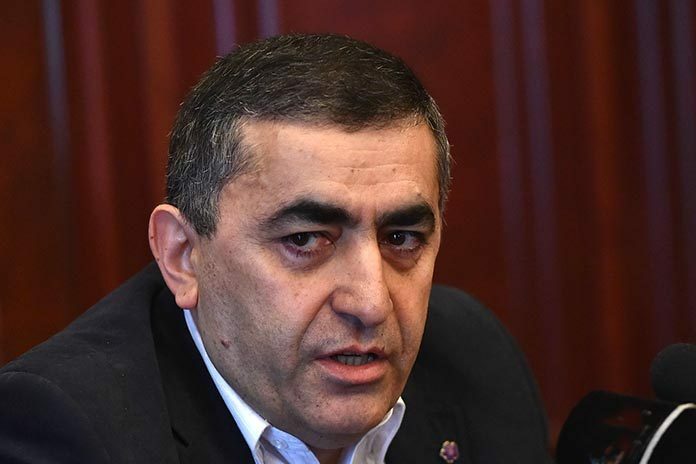 At a government meeting last week Prime Minister Hovik Abrahamyan declared about his Cabinet’s determination and political will to fight against corruption. He also spoke about an inflated state apparatus and the need to cut costs on the maintenance of this apparatus. Opposition political forces and civil society representatives, however, said they wanted the government to take concrete steps rather than make general statements. Many described the latest anti-corruption drive as an imitation of the process. Only after certain steps are taken will it be possible to reduce corruption, the extra-parliamentary Mission party said in its message to the government. According to the party, first of all, prohibition on high-ranking officials and their family members being involved in business activities should be enforced. A number of opposition parties, including Mission, also believe that Article 20 of the UN Anti-Corruption Convention that concerns “illicit enrichment of officials” should also be ratified by Armenia (the country ratified the 2003 Convention with reservations regarding the mentioned article). The ANC, meanwhile, also believes that free and fair elections can be the best way of dealing with corruption in Armenia.